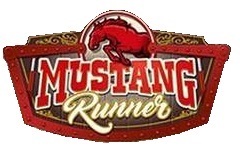 Over in Americana, near Detonator, the footer for Mustang Runner is about complete as well. With the old Krazy Kars building gone, the area has really been opened up. The clearing has also taken out the game that was right across from Detonator.